She has completed her Masters.  She is an easy-going person who was raised with good moral values; She is simple and caring. Please get in touch if you would like to know more about her. We belong to an upper middle class, nuclear family having traditional outlook. Our family is settled in TRIVANDRUM. Her father has retired while her mother is a working professional. She has one sister, who is married.